Above: The hard cover linen-bound book measured 5 1/2 by 8 inches. 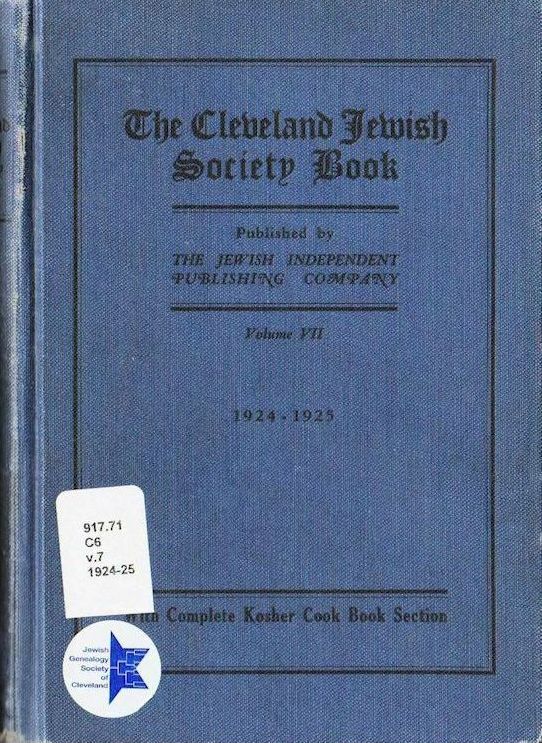 The cook book section accounted for 72 of its 286 pages. 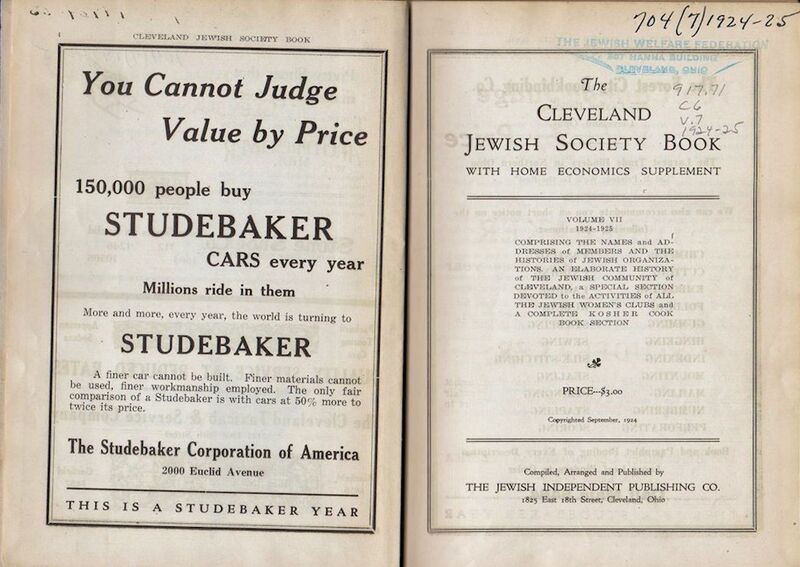 Above: The inside cover and first page. 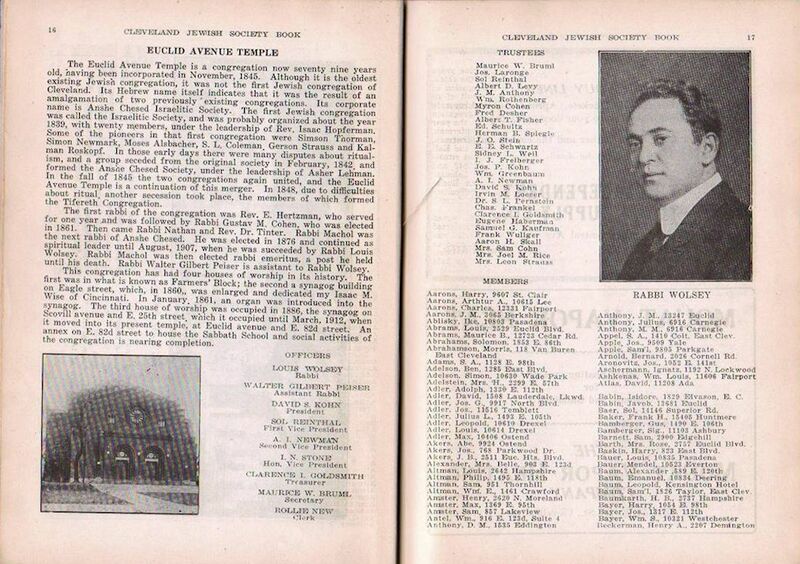 Above: Pages 16-17 on the Euclid Avenue Temple (Anshe Chesed). 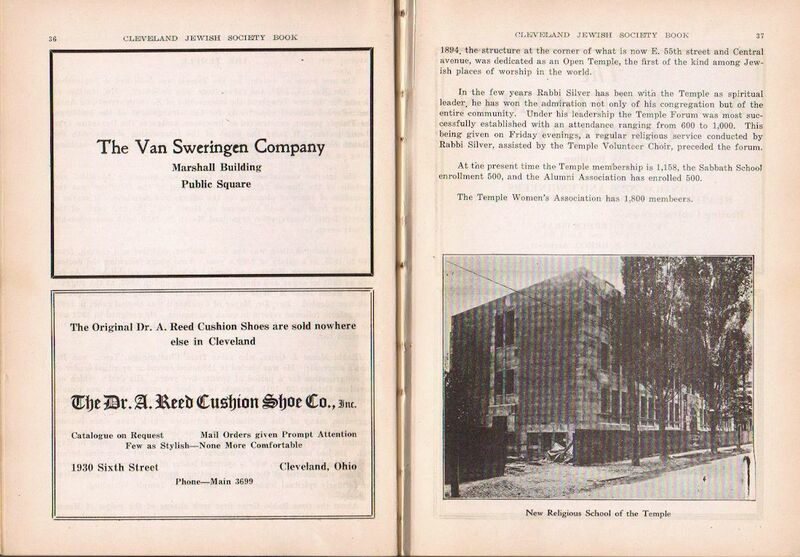 Above: Pages 36 and 37 include an advertisement by the Van Sweringen Company, developers of Shaker Heights. buyers had only to be approved by their neighbors. 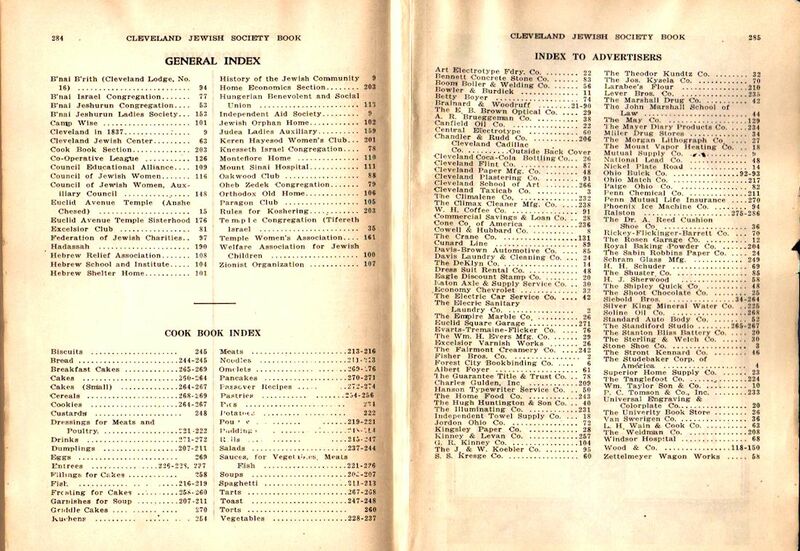 Above: The indexes for organizations, the cook book and advertisers. Some large, well established organizations of the day are not listed, including The Workmens Circle and the Jewish Carpenters Union. Most members of those organizations would have been readers of the six days a week Die YIDDISHE VELT (The Jewish World).